Simulation of the welding of two dissimilar materials, stainless steel and mild steel, has been carried out using finite element together with experiments to validate the method and better understand the transient temperature profiles and the stress distribution in a cladded pipe. The results clearly show that the temperature distribution in the modelled pipe is a function of the thermal conductivity of each weld metal as well as the distance away from the heat source. The outcome of the study has been compared with previous findings. 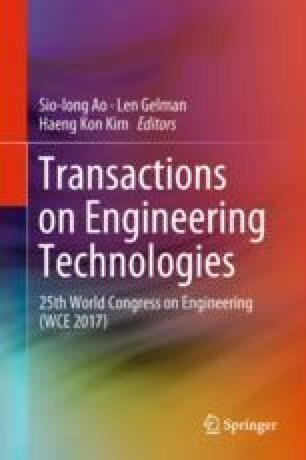 The authors want to express their gratitude to IAENG and WCE for the great privilege of being awarded Best Student Paper Publication at the WCE 2017 Conference and for the opportunity to publish this paper as an IAENG publication. The authors want to express their gratitude to Brunel University London for the facilities provided and conducive research environment. The first author also thanks The Petroleum Technology Development Fund (PTDF) for their funding and support through which this research has been made possible.